This winter I attended a motorcycle industry pub night. I had the pleasure of sharing tables with family-founded businesses such as KYMCO Canada and Motorcycle Mojo. I spoke with a Triumph marketer about MISSRIDER (once his band was done performing on stage, naturally). At the end of the night, CMG Online’s own Rob Harris and Brenda Cyr gave me a drive home. Since 2007 I’ve been pushing for a stronger motorcycle riding community. Riders are the YOU in YouMotorcycle. At the pub night it struck me how tightly knit the motorcycle industry is in Canada. Everyone knows everyone. Who they work for may change but the faces stay the same. The industry is a small collection of circles. A passion for motorcycles alone won’t get you in, but you can get in. 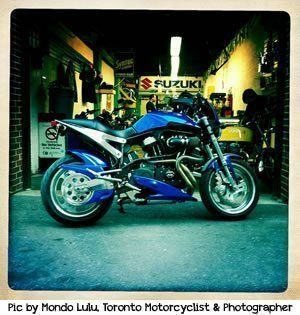 Here are 10 Ways YOU can Find a Job in the Motorcycle Industry. Any monkey can swing a wrench. Builders, painters, air brushers, licensed mechanics, and fabricators are always in demand. Licenses and training will separate the chimps from the gorillas in the industry. If you don’t have any certificates for training in these fields, dedicate an hour to taking some photos for a visual portfolio, and build up that portfolio continuously. Many riders couldn’t tell a soldering iron from a screw driver, don’t worry; there are plenty of other skills the motorcycle industry needs. 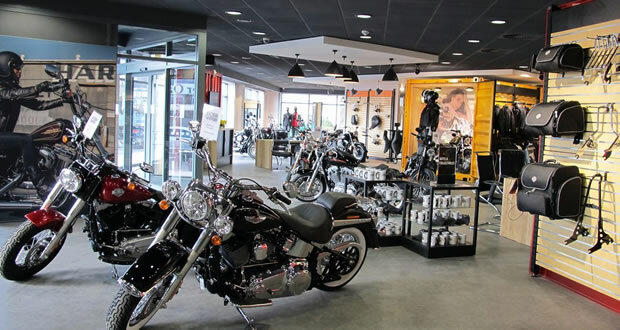 For example, French fluency is particularly important in the Canadian motorcycle industry as the French market is a huge power sports consumer. A university education won’t get you far if you majored in 19th Century Revolts, but a study of the right fields can. The motorcycle industry requires men and women who know engines, parts, tools, loads, specifications and other gear headed nerdisms. Engineers are you listening? Moreover, all businesses require departments such as accounting, finance, and marketing. If you got your first tricycle for your third birthday, your first bicycle for your fourth birthday, and your first dirt bike for your fifth birthday, you might be a good candidate. Your every day life is a springboard for the experience you’ll need. 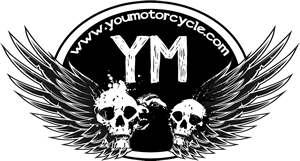 Do you blog about motorcycling? Travel by motorcycle? Take part in the motorcycle community? Participate in motorcycle racing as a rider, mechanic, or flagger? Have you taken part in other motorcycle events? Experience differentiates job applicants. Some motorcycle job listings will only be posted on the employer’s sites, others will be on the websites of your regional motorcycle organization. Find those sites and sign up for alerts or simply check back often. Some motorcycle job openings may not be posted online at all. Remember, in an industry like ours there isn’t always a need to advertise a job to the public. Putting a phone call or email in to your local shops, dealerships, OEMs, suppliers, and media outlets might just put you into an office you didn’t even know was vacant. What you know counts, but who you know helps. Show other riders the same courtesy you’d like to receive and you’ll be off to a great start. There is no alternative. Be there checking job listings daily, applying, getting qualified, calling, showing up. If you do this like it’s your job, it may soon be. Much like finding a deal on a motorcycle, the first one to show up is the first one who can walk away with it. Re-read everything and say “DO IT NOW!” out loud after every period. DO IT NOW! If you’re still looking for something to do, read this article full of career and life advice aimed at college and university students to help them find work in the motorcycle industry after graduation. My experience locally is that #8 trumps all others. Which is why after spending a small fortune on training along with a lifetime of motorcycles I’m working in another field. I’m just not family or friends of a dealer. Too bad you didn’t mention some of the places that do motorcycle training for those looking to start a career as technicians! We’ve been training motorcycle techs for 39 years in Fairview at the GPRC campus. Very cool! It’s a totally international site. Based in Canada, but most of the visitors are American. As such, I wanted to keep it high level so no one felt left out. Hi there, I love the idea of working in a motorcycle company in business operations like marketing and human resources department but is it recommended to work at a motorcycle company after my graduation?